Above, eighth graders of SS. 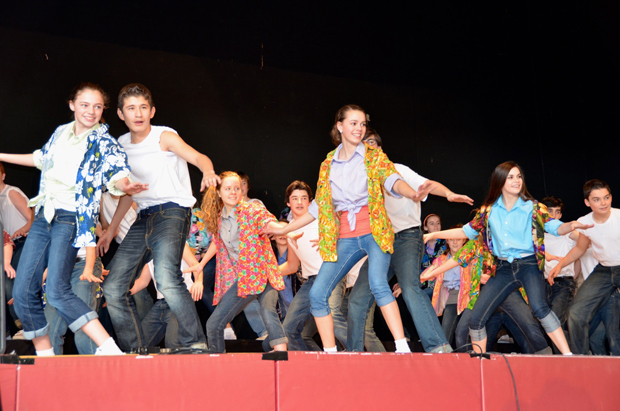 Simon and Jude School, West Chester, perform Jan. 31 in the talent show during Catholic Schools Week, a traditional show at the school. 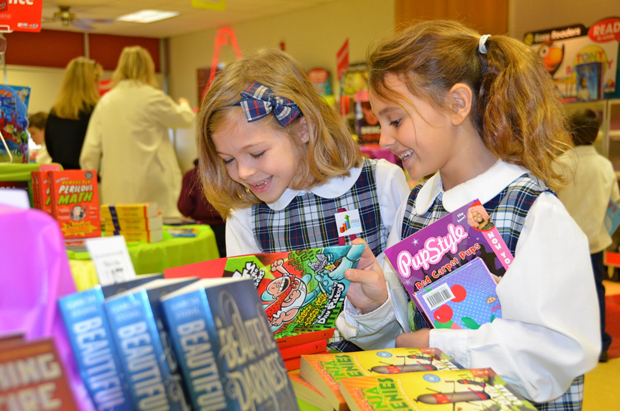 At right, second graders Evelyn Hewitt (left) and Ava Panetta enjoy browsing through titles at the school book fair.